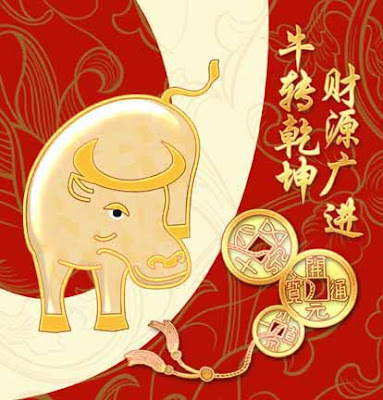 Stella Arnaldo's Blogspot: Kung hei fat choi! Happy New Year to all my blog readers, family, friends, and even my pretend-friends. Wishing you all a healthy, happy and prosperous 2009. On this first day of the Chinese New Year, I went to my doctor for a follow-up checkup and to have him change the dressing on my wound. Still an ordeal. Not as bad as Saturday's though, but painful just the same. I hope this thing heals soon enough. I still have another checkup on Thursday. Meanwhile, I still have some difficulty sleeping, cos I can't lie on my back, and I'm still subsisting on antiobiotics and painkillers. So I really am not up to any socializing this week yet. So forgive me if I'm still a bit sungit. I know I shouldn't complain. There are other people more ill and in worse shape than me. I hope to be up and running when February begins. So much work to do. I want to reap the full benefits the Year of the Ox will bring. 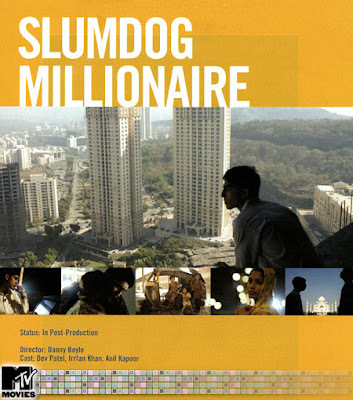 If you haven't seen Slumdog Millionaire yet, I suggest you start downloading the movie from your favorite torrent sources. Except for the Bollywood ending (choeographed group singing and dancing, what elz?! ), it's Oscar-worthy. I hope it wins. Of course I haven't seen the other Oscar nominees for best film yet (got a broken torrent of Doubt, so I couldn't watch it, kainis! ), but Slumdog is a definite strong contender. >>Except for the Bollywood ending (choeographed group singing and dancing, what elz?! ), it's Oscar-worthy. Thanks for your comment vcdvj. I've never been a fan of Bollywood films thus, my opinion. I get the point about the homage to Bollywood. I just thought the sashaying and singing weren't really essential to the ending.